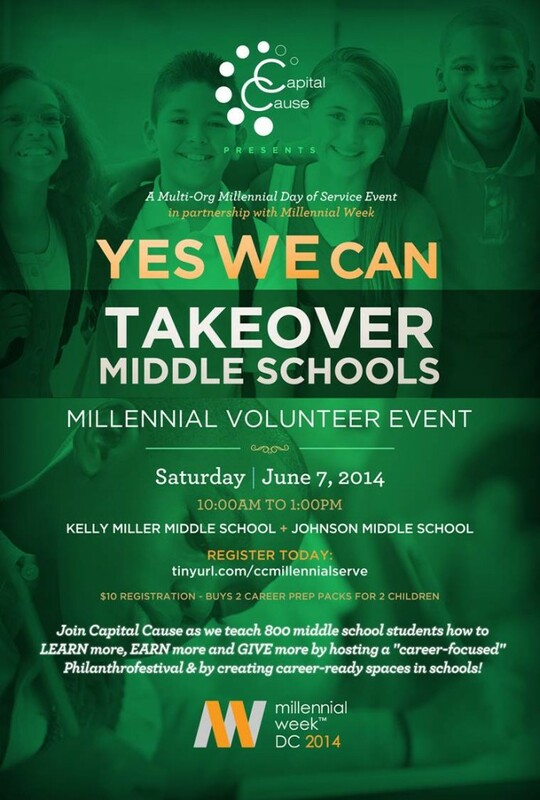 In partnership with Millennial Week, join Capital Cause and 20+ millennial-led organizations across the DC area on Saturday, June 7, 2014, from 10:00am – 1:00pm as we inspire 800 youth to learn more, earn more and give more for the Yes We Can: Takeover Middle Schools service event. 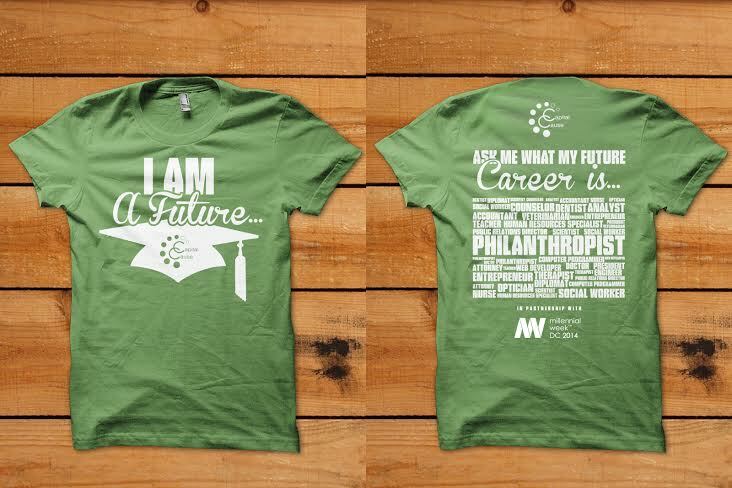 This event will convene young philanthropists and young changemakers for a volunteer event that will teach 800 middle school youth to VALUE THEIR EDUCATION by thinking about their future careers. Register Today or DONATE DIRECTLY to the cause. This year’s Millennial Week Day of Service will benefit middle school youth attending Kelly Miller Middle School and Johnson Middle School. 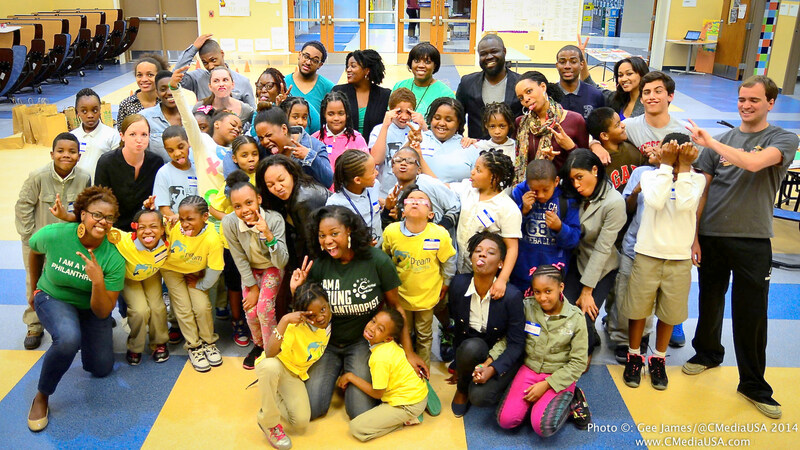 In both schools, nearly 80% of students are under-performing in schools! We want to help change that. All volunteers must register by donating $10 to benefit 2 youth.